In today's economic hard times, what better way to stretch your budget than growing fruit trees and berries? 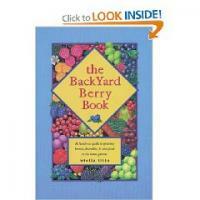 Recently, LoveToKnow spoke with author and horticulturalist Stella Otto about her comprehensive books, The Backyard Berry Book and The Backyard Orchardist. Both books are indispensable how-tos on growing your own berries and fruits to keep your family and your bank account healthy. Stella Otto is an accomplished writer and horticulturalist. She received her B.S. in Horticulture with a specialization in Pomology (growing fruit) from Michigan State University. After graduation, Stella worked as an assistant nursery and special projects manager at a large fruit tree nursery. For ten years, she and her husband ran a busy fruit orchard growing fruit trees and berries. They raised and sold apples, pears, strawberries, raspberries, apricots, peaches, cherries and blueberries. Today, after selling their orchard, Stella continues to teach others about the joys of growing fruit trees and berries in their own back yard. Can the Home Gardener Really Grow Their Own Fruit Trees and Berries? Most definitely! The key is choosing types of fruit and varieties that are most suited to your climate, growing season length and soil conditions. Fruit gardens are feasible on even the smallest lots. It's mainly a matter of being creative in what you choose to grow and what fits the space. Strawberries can be grown in a space as small as a half whiskey barrel or other container. Just realize that you'll have to pay careful attention to watering, as containers will dry out quickly. Also, I'd recommend day neutral varieties for a small but fairly continuous crop over most of the growing season. Strawberries can also be used as border plants in a landscape. Berry bushes such as currants or blueberries can be used in place of a floral landscape shrub and will produce a crop as well as being attractive. Grape or kiwifruit vines can lend some shade to a patio arbor in no more space than the arbor itself takes. Dwarf fruit trees work well in confined spaces. For the ambitious and artistic green thumb, they can even be pruned as an attractive espalier. Can Fruit Grow in a Cold Climate? Cold, per se, isn't a major problem. I, here in northern Michigan, am in zone 5 borderline zone 4. We've had plenty of single-digit days this winter. The key is picking the right plant for the conditions and managing it so that it is becoming sufficiently hardy going into winter. This means to pick varieties that ripen early or require fairly short growing seasons to mature. No Granny Smith apples in the northern regions, but our cooler falls are excellent for varieties like Macintosh and Cortland, for example. Also don't over-fertilize and over-water late in the fall or plants will still be growing too actively when the cold comes. You want the plant to start going into dormancy so it can withstand the cold to come. Most properly dormant temperate zone plants can withstand quite cold temperatures. What About Indoor Fruit Trees? I don't typically recommend these for a number of reasons. First, see the above comment on the need for cold. Second, most homes have far too low of a humidity level when the heat is on for the trees to do well. Conditions are also not right for adequate pollination to set a crop. I have not grown them, but it is my understanding that some of the dwarf citrus do work okay with a lot of coddling. If I were to try them, it would be mainly for fun, novelty and ornamental rather than for actual fruit to eat. How Can You Save Money Growing Fruit? Under the right care, you can save on the grocery bill. Although you will have some initial investment, it will be paid back over time. For example: A bunch of 25 strawberry plants will cost no more than half a dozen quarts of the fruit bought from the store. Those plants should yield enough for a number of fresh meals as well a batch (or several) of jam. The cost of that whole batch of jam, if you have the fruit (six to eight jars) will cost you about what one jar of fancy preserves would sell for in the store. Remember, most fruit plants will go on bearing for another 3 to 10 or more years after your initial purchase and planting. Because ripe berries are so fragile, it's difficult to store and transport them. So rightfully, even small quantities can be expensive at the store. Growing your own gives you the added benefits of the best flavored, truly ripe fruit at your fingertips; the knowledge of how they were grown - what pesticides were or weren't used; an enhancement to your landscape; and a fun activity that the whole family can enjoy together. The key to saving money is buying high quality plants (even if they cost slightly more) and caring for them well. How Long Before You Can Enjoy Fresh Fruit? Day neutral strawberries and raspberries--Later the same summer that you plant them. June bearing strawberries and raspberries (that tend to yield somewhat larger crops than the day neutrals)--The year following planting. Currants, blueberries and blackberries--Usually two years following planting for a small crop and a full crop the year thereafter. Remember, too, that these plants will then produce for another 10 years or so before you would need to buy new plants again. Standard trees (such as cherry or pear)--Six to eight years for any sizable crop, although smaller crops may appear earlier. What Fruits Are Best for Beginners? Raspberries, blackberries, strawberries, red currants and dwarf apple trees tend to be the most adapted to many areas and therefore easiest to start with. Most experienced gardeners could probably tackle what ever they like. The techniques are pretty universal once you understand the principals behind them. Just, again, remember to choose plants adapted to your conditions. The time and effort is pretty similar to vegetable gardening (without the constant need to reseed or work the soil). You'll need to prune or renovate once a year, fertilize once or maybe twice a year, water as needed like most other garden plants and, of course, harvest. Pruning helps fruit trees and berry plants grow new wood and it is often this new wood that produces the fruit or the best quality fruit. Regular, annual pruning also helps regulate the crop load and helps the plant produce consistently. How Do You Effectively Protect Against Disease and Pests? Most pests of small fruit are more a nuisance than a true dire threat. An occasional worm or weevil can be picked off by hand in the home garden. Commercially raised fruit has gone to chemical controls primarily because such large amounts have to be protected in a very short time span - doing so by hand on that scale is just not realistic. Also, consumers expect 100% absolutely picture perfect fruit; they shun anything less. So again, on a large scale chemicals have been the economic way to provide this. 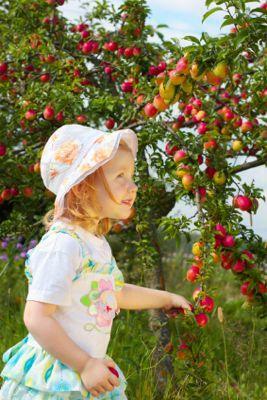 In the home garden, will you take a slightly blemished apple and make sauce or cider? Can you live with tossing an occasional damaged berry on the compost heap. Each gardener can decide how they value the trade offs. That said, it is a bit harder to control diseases without some chemical help. Most fungus diseases flourish because of high moisture and temperature together. You can practice some cultural control by, for example, using trickle (which is also water saving) irrigation instead of overhead sprinkling that wets foliage and developing fruit. You can plant disease resistant (but realize this does not mean totally immune) varieties. Removing diseased plants or fruit helps a bit too. But, if it rains you really can't stop that from wetting your plants. Also realize that organic does not always equal safe and chemical does not always mean bad. Some chemical pest and disease controls are safer to humans and pets than some "organic" ones. Every gardener (vegetable and landscape too) should know what they are working with and use it wisely and according to package directions. In some locations your biggest pests may not be worms and weevils. They may be birds, squirrels or deer. In these cases netting, fencing, or other barrier methods may need to be used. Start small and learn your fruits needs. You can always add more in coming years. Take time to prepare your planting site well. Make sure it is weed and grass free and well supplemented with organic matter or compost. Timely, early season pest and disease control goes a long way to reducing problem build-up and reduces work later in the season. Be ready to have some fun; experiment. If you don't end up liking a particular variety or it doesn't do well for you, don't be afraid to try something a little different. Keeping a few written records will help you remember your successes and hopefully not repeat some of your challenges next year. If you'd like to learn a lot about gardening skills that will help not just your fruit garden, but all your landscape, take the Master Gardener classes offered through many cooperative extension service offices - it's a good comprehensive program for all gardeners. 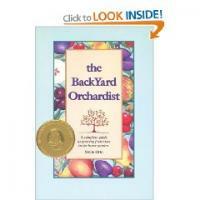 More details on growing fruit trees and berries are available in The Backyard Orchardist and The Backyard Berry Book - Signed copies are available from me at 13455 South Coleman Rd, Empire, MI 49630. The book is also available online and in bookstores nationally, but they won't be signed editions. Also for those gardeners lucky enough to have the time, space, or abundance of harvest - Remember the "Plant a Row for the Hungry" program initiated by the Garden Writers Association. Plant a bit more than you'll need and donate the excess produce to your local food pantry. Especially now, it will make a difference!